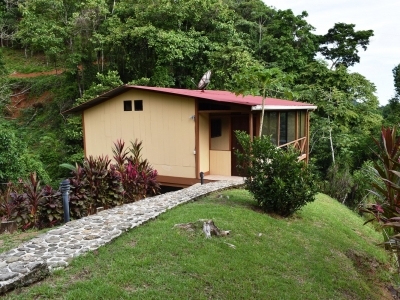 $525 /month + electricity. 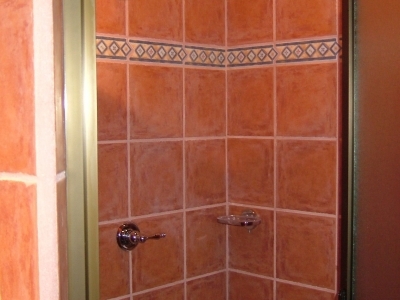 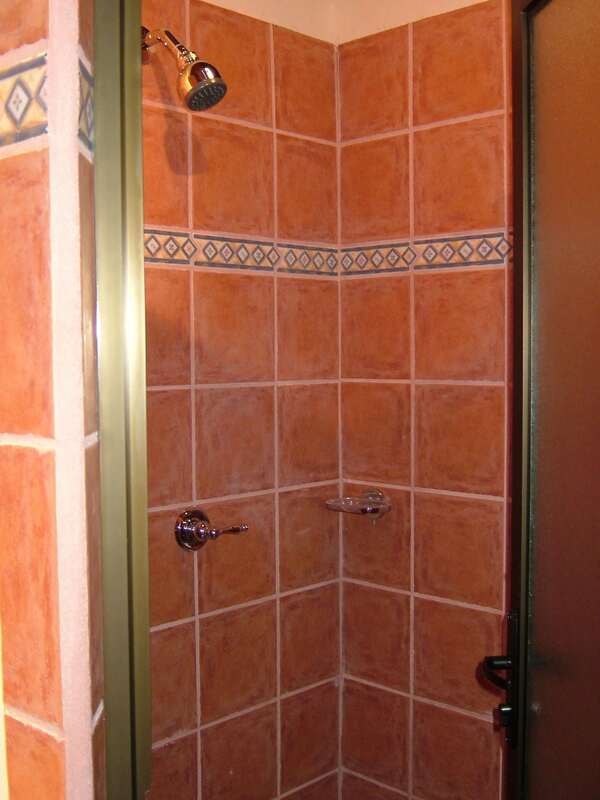 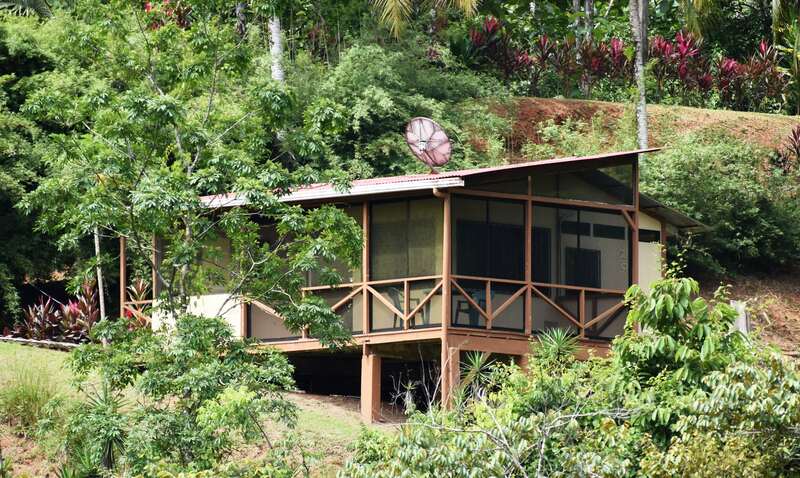 *Internet, water, garbage, yard service, and weekly cleaning are included. 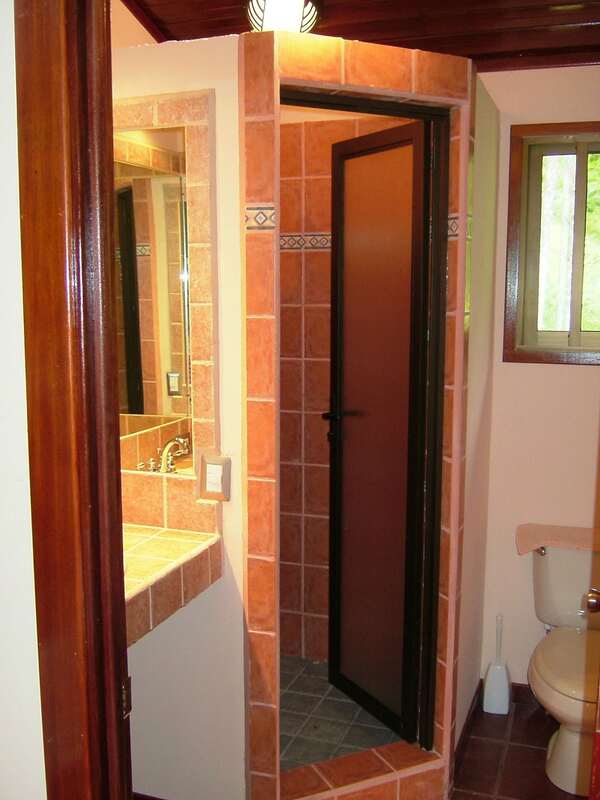 This studio cabina is a freestanding unit with no neighbors in sight. 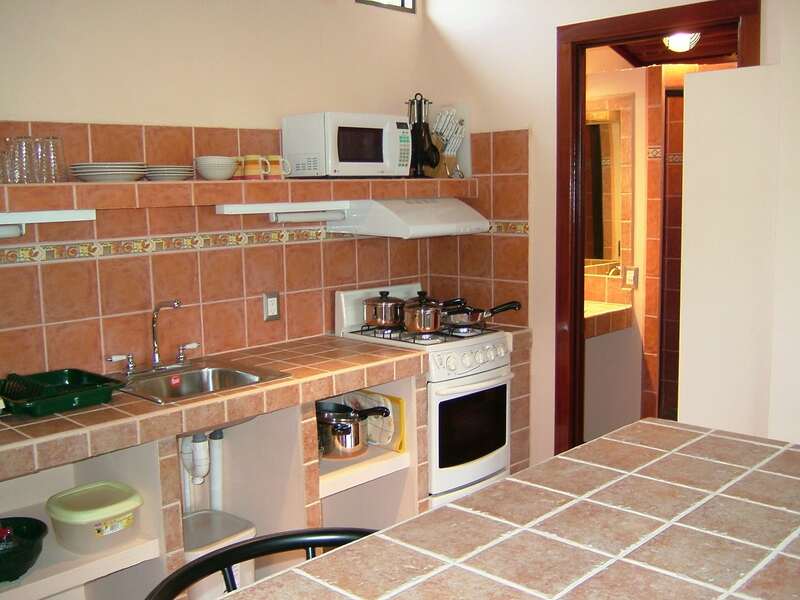 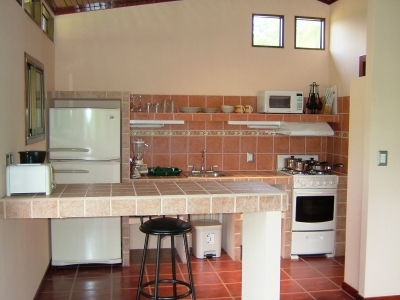 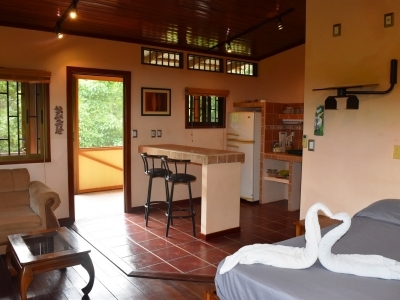 It’s quiet, clean, and private, and located only 5 minutes by car or 25 minutes leisurely walk to Dominical and the beach. 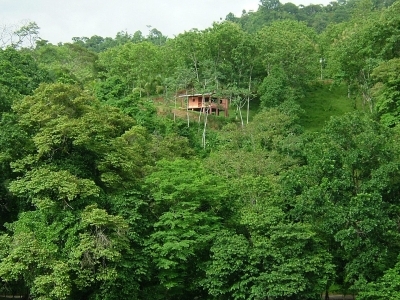 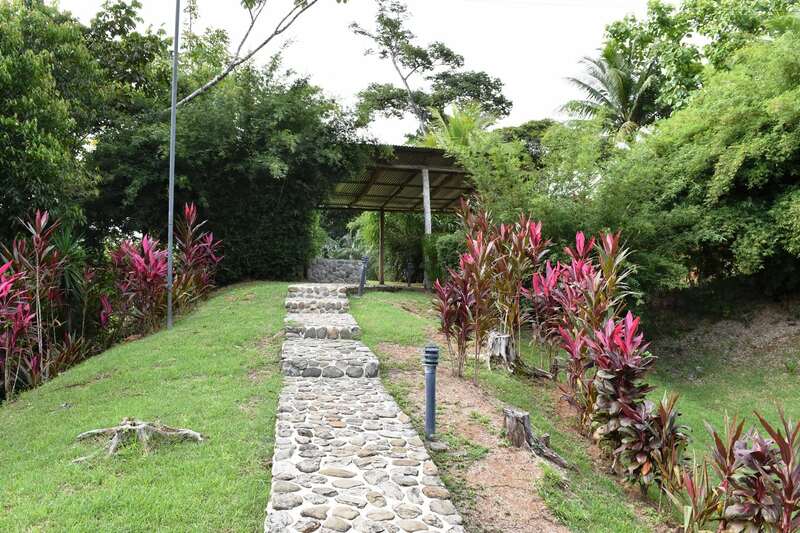 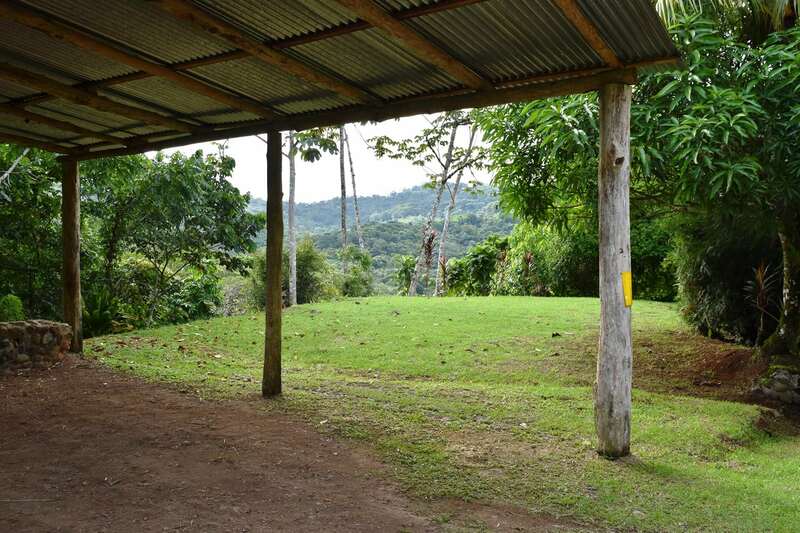 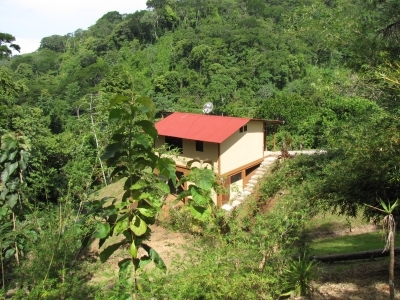 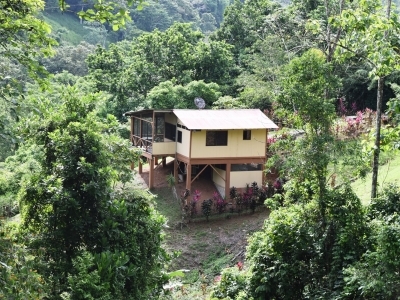 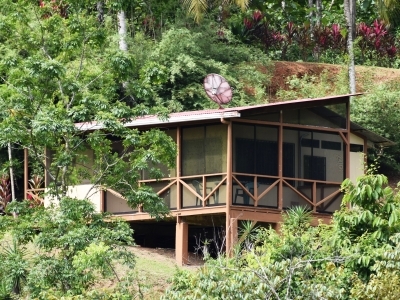 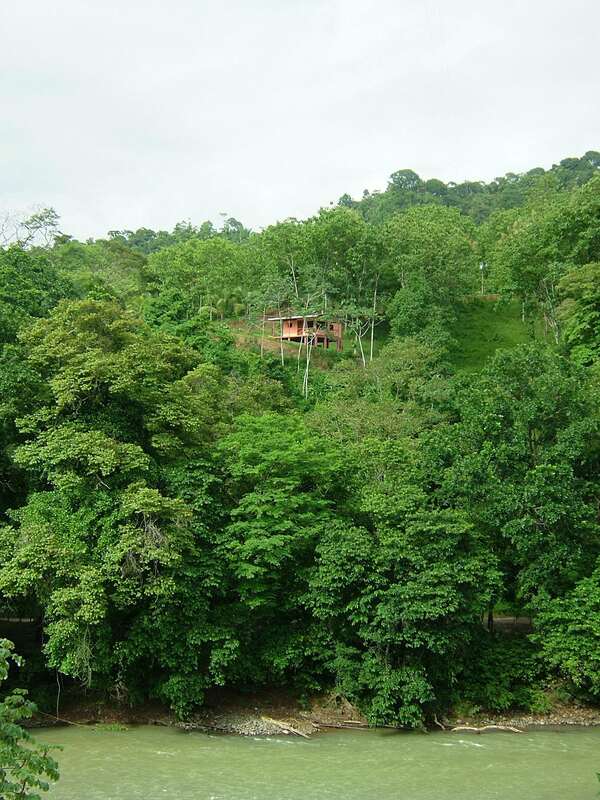 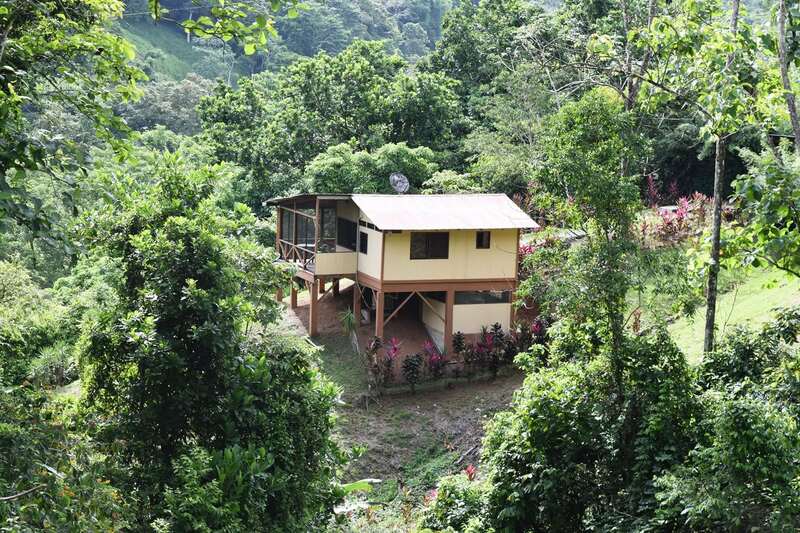 Located on a 160 acre gated property, this cabina has a tree house feel and panoramic mountain views. 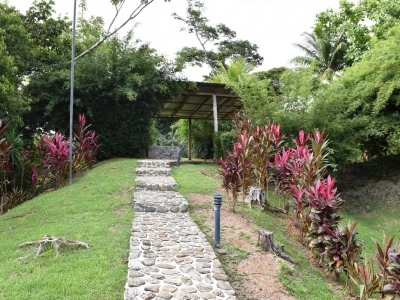 Take long meandering walks on our private drive and public roads….and for the adventurous explore our jungle hiking trails. 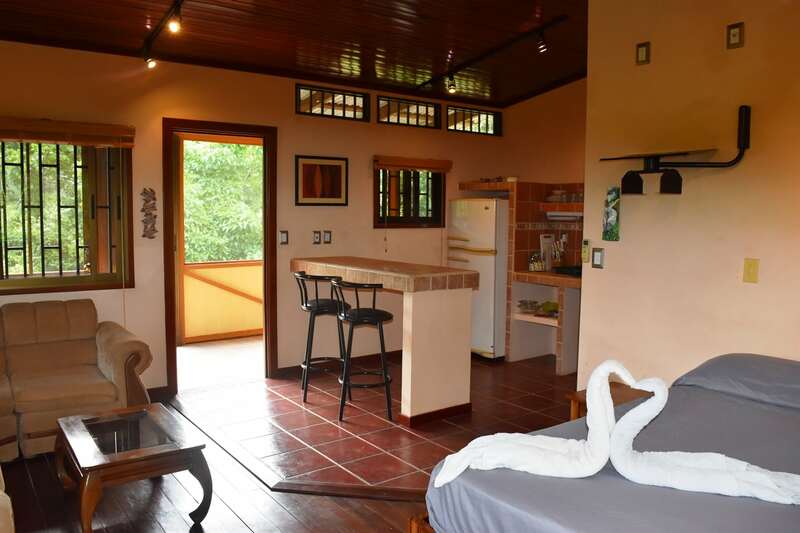 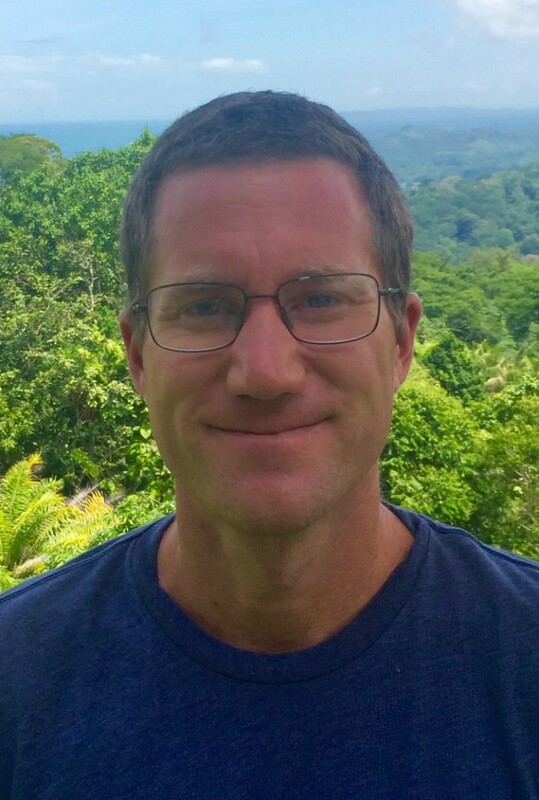 Close to Mama Toucans Organic Grocer, Mono Congo Cafe, Dominical Sushi, Phat Noodle, Massage, Beach, ATM and everything else Dominical has to offer. 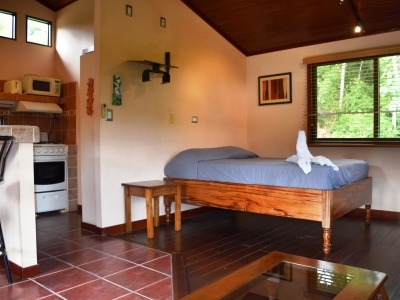 This studio is perfect for one person or a couple. 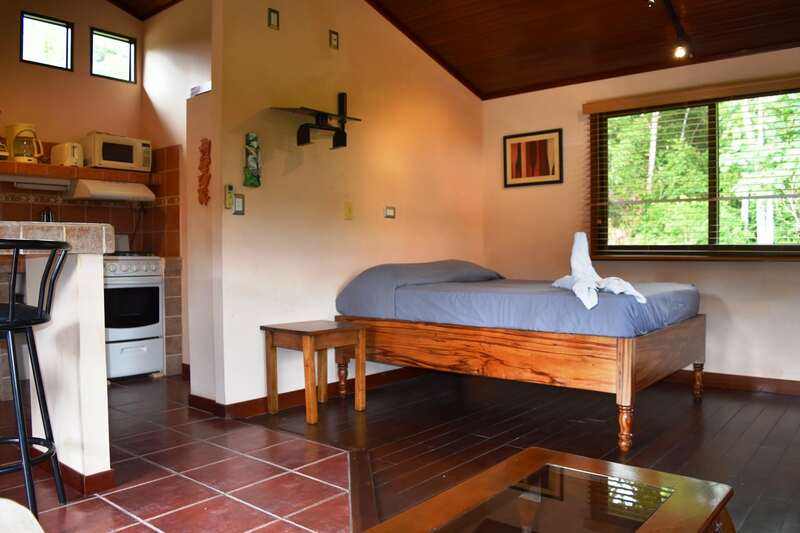 It’s furnished with a full size bed, couch, and coffee table. 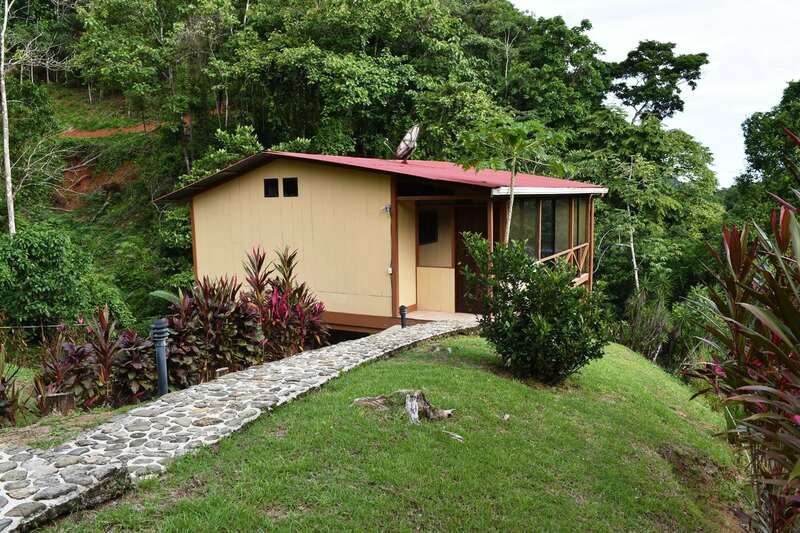 There’s a fully equipped kitchen and breakfast bar with stools, and a big screened-in porch which can be opened up to enjoy more breeze. 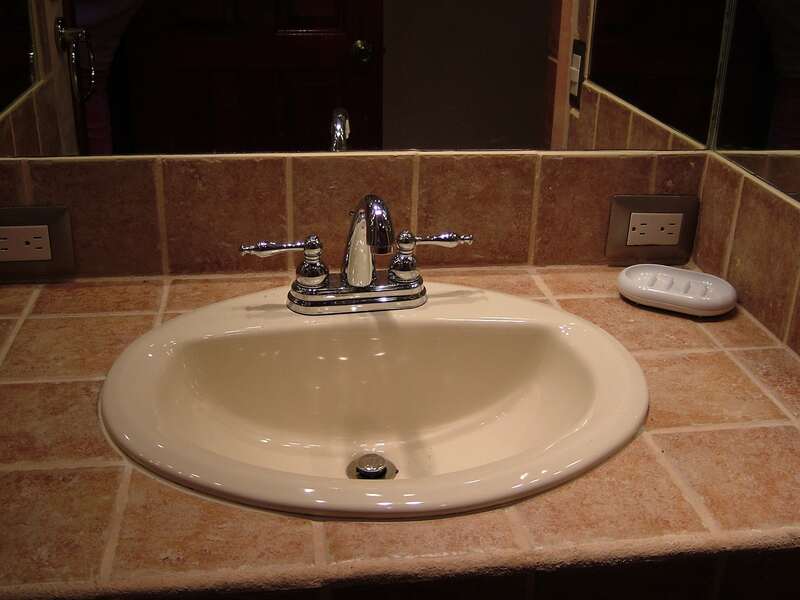 There’s also AC for those extra hot days. 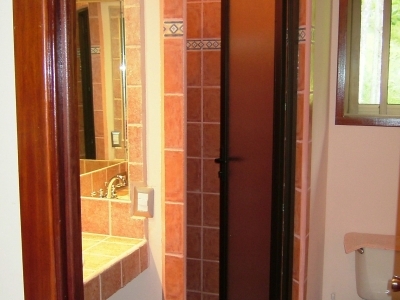 Below the cabina is a utility room with washer/dryer and secure storage. 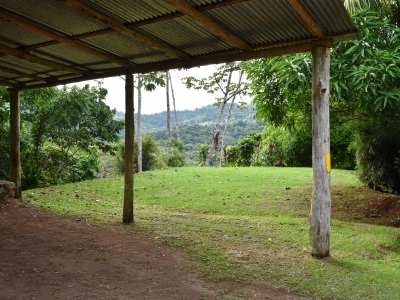 There’s also covered parking and a big yard.